Watch Sunday, January 11, 2015 at 1pm on WMHT TV. This powerful documentary recreates the final flight of Amelia Earhart, the noted aviation pioneer whose historic 1937 trip around the world ended in her tragic disappearance. 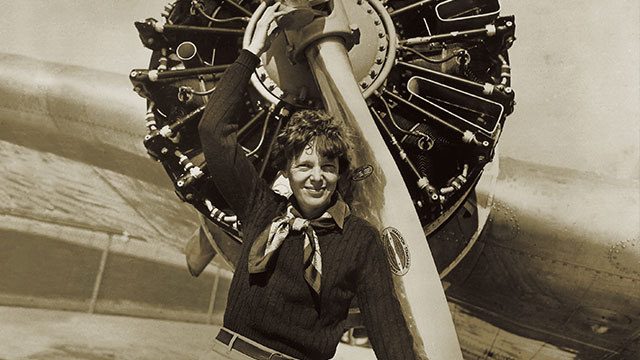 Shot in 19 countries, THE FINAL HOURS is based on “World Flight 1997,” Texas aviator Linda Finch’s honorary recreation of Earhart’s planned flight. With the rare accreditation of the Smithsonian Institution, this informative program presents footage of Finch’s flight, artfully intercut with archival footage and interviews with Earhart. Notably different from other Amelia Earhart films, this program also presents theories as to what actually occurred during the deadly flight.